Already the third week of Eid, I got to see more people as they came visiting this weekend. 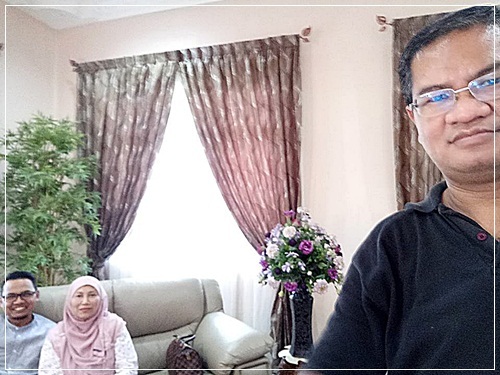 The first visitors, a husband and wife couple, Puan Sakinah Mohd. Ismail and Mr. Azhar, drove all the way from Seremban. I was truly touched for their kind gestures just to be at my house just for like an hour. Too bad, I could not spend more time with them in town as I was expecting more visitors after that. 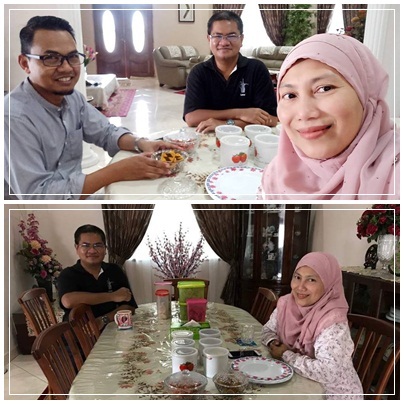 Puan Sakinah is my UPM TESL classmate class of 1993 while her husband was also from the same residential college there. 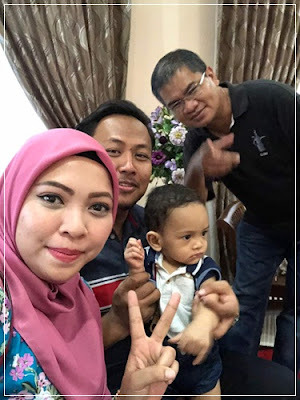 After that, an ex-student of SMK Taman Universiti (SPM batch 20050, Mr. Faiz Ishak and the wife, and their baby boy arrived. 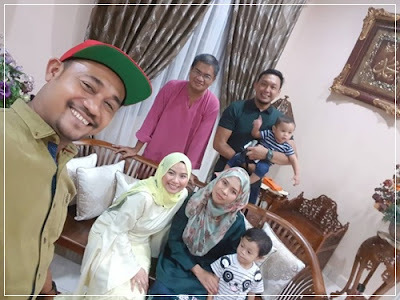 This was their very first visit to my place after trying for many years and finally the plan was successfully executed. 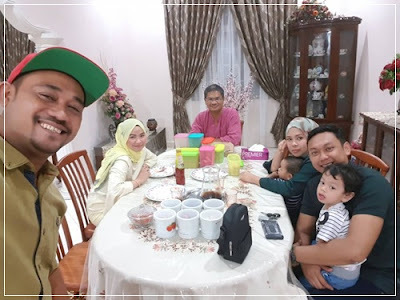 Later in the evening, another ex-student of SMKTUN (SPM batch 2013) was here with his other family members - parents and three other siblings. 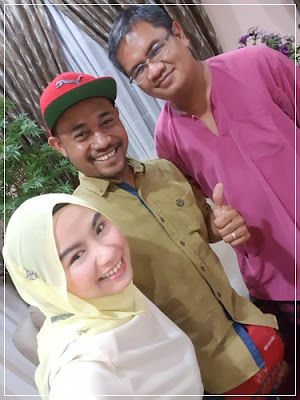 They were already family friends and his brother, Mr. Nadhir Iman was in SMK Mutiara Rini when I was teaching there. 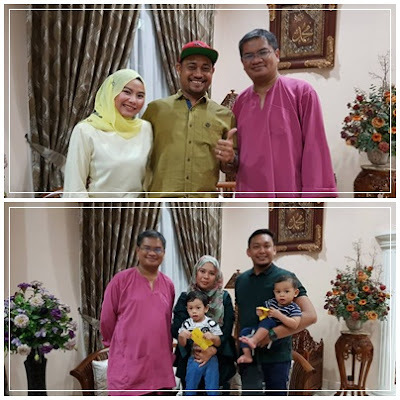 The very last group of visitors were also alumni of SMK Taman Universiti were people from SPM batch 2006. 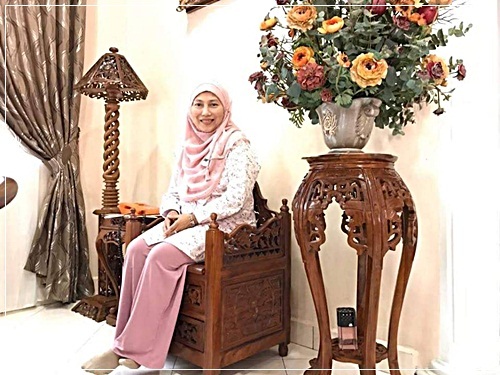 Puan Noor Fatihah Hamid and this time coming with her husband, together with a schoolmate marrying another schoolmate, Puan Insyirah Johan and Mr. Firdaus with their two boys. So the group has grown bigger with two boys in the group - the young and not so young ones. Even though Puan Fatihah is now working and residing in Kuala Lumpur, for many years already, she still makes it my house a must visit place during Eid. That was quite a long day for me but I was happy to get to see many people throughout. Thirteen more days remaining to go visiting or to be visited.